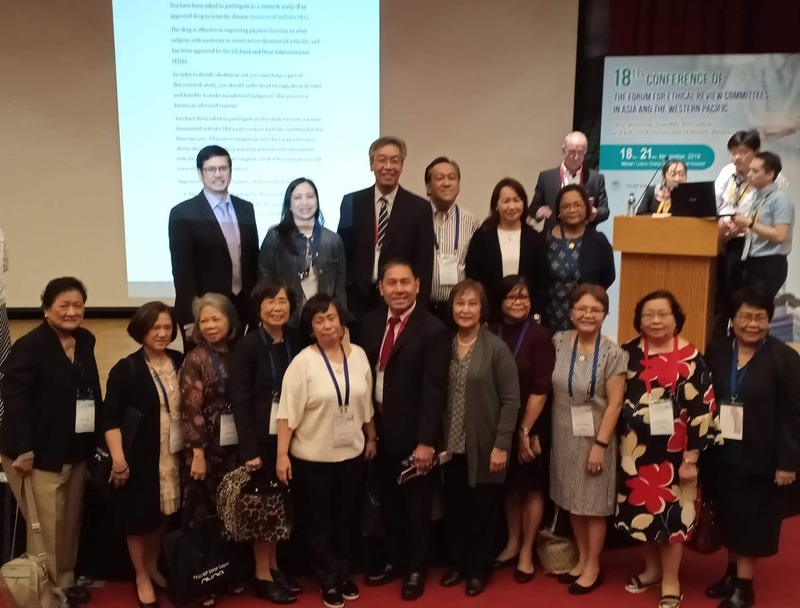 As part of the annual activity of the Bicol Consortium for Health Research and Development, the 2018 Bicol Regional Health Research Week was celebrated to provide a venue for the regional health and health-related researchers to showcase and disseminate the results of their completed researches. The said celebration also aimed to increase and encourage more young and budding researchers to write health researchers for the region in the future. Canonizado, Sherry Mae M.; Fermindoza, Ma. Dianne G.; Regala, Melissa Marie F.
Dorias, Verna Grizza N.; Beltran, Norman M.; Guinhawa, John Boy Isaiah H.
The winners of the said contests were awarded during the closing program in the afternoon. The Gelia Castillo Award for Social Innovation in Health (GCASIH) aims to recognize the outstanding models of social innovations that address persistent, societal and health systems challenges. The award also acknowledges the innovators at the frontlines. Through the innovators’ experience we can better understand how and why social innovations are impactful, the factors enabling their success and the lessons that can be gleaned from their experience to scale it more broadly in the larger health system. The award is open to all ongoing social innovation programs or projects developed by Filipinos for the Filipinos. The entry must be implemented mainly in the Philippines. For the purposes of this Award, Social innovations in Health (SIH) is defined as a novel solution (process, product, practice, market mechanism) created and implemented by a range of stakeholders, in response to a priority health need within a geographical context. This may come from a formal or informal research process that has enabled innovation has enabled health care that is more inclusive, affordable and effective. Must be developed by Filipino/s. Must be implemented for at least one (1) year. Based on an identified priority health need of a community or geographical context. Complete application form (that has sufficient information for a fair review) submitted within the set deadline. Nominations should be made using the prescribed nomination form. All entries must be submitted to and endorsed by an institutional RHRDC Member. Nominations are accepted and reviewed on a rolling basis. Entries received after the deadline may be considered in the next cycle. However, strongest consideration will go to those entries submitted on or before the prescribed deadline. The RHRDC will be responsible for the initial review and shortlisting of all entries based on the eligibility criteria. The applicants whose nominations have been excluded should be emailed directly to be informed that their nomination did not meet the eligibility criteria. The RHRDC will then recommend the shortlisted entries to an independent panel of experts to be appointed/convened by the DOST-PCHRD and the DOH for evaluation and final selection. A panel of experts will be convened based on the number of shortlisted entries received. This dual approach will help ensure that the selection process is relevant and fair. If there is a conflict of interest in the allocation, the entry should be reassigned. Once the review panel has been organized, they can begin the process of scoring nominations. Each nomination will be evaluated by two reviewers and will be scored on a scale of 1 – 5 in 0.5 increments. An online scoring platform is proposed to be developed to make the evaluation more unified and transparent. Once all scores have been received from the selection panel members, the two scores for each nomination should be averaged. The full list of nominations must then be ranked by these average scores. Once the final selection has been concluded and before the public announcement is made, each applicant should be directly contacted with the outcome of the decision (i.e. was or was not selected). If no innovation sufficiently meets the qualifications, the expert panel has the prerogative not to give the award. The decision of the expert panel of reviewers is final. The Award consists of a cash prize of Php 100,000 each and a trophy for the top 3 socially innovative projects. Php 200,000 for the top socially innovative project and Php 50,000 each as consolation incentives for top 2 and 3 projects/innovations respectively. One winner each in Luzon, Visayas, and Mindanao with cash incentive of Php 100,000 each. Innovation acceleration fund (between Php 300,000 – Php 500,000) + capacity building package/workshop with partner institution (e.g. SIHI Philippines Hub and/or Asian Institute of Management) to further expand and scale the innovative project. DEADLINE OF SUBMISSION OF NOMINATIONS WILL BE ON APRIL, 2019. LEGAZPI CITY-The DOST through the Philippine Council for Health Research and Development (PCHRD) initiated a program called Tuklas Lunas as an effort to discover safe and effective natural alternatives to allopathic medicine in partnership with the academe, and the industry to screen marine, microbial and plant species for pharmacologic activities. To expand the coverage of the Tuklas Lunas researches across the country taking into account the Philippines' rich biodiversity, the PCHRD plans to establish more Tuklas Lunas Development Centers (TLDCs), with Region V as one of the target sites. With this, the DOST-PCHRD Tuklas-Lunas Program Team headed by Dr. Amelia P. Guevarra, Chair of the Technical Advisory Group, Ms. Melissa Bulao, Tuklas Lunas Program Coordinator and Mr. Aldrick B. Verano, project management officer conducted institutional visits to Department of Science and Technology V (DOST V), University of Santo Tomas- Legazpi (UST-Legazpi) and Bicol University (BU) last October 8-9, 2018 to discuss possible collaboration, repackaging and expansion of the scope of the proposal as the program following the project proposal submitted by Dr. Lilibeth A. Cajuday, a professor of Biology department of the Bicol University. The said meeting was attended by the president of Bicol University and BCHRD Chairperson, Dr, Arnulfo M. Mascarinas, Dr. Jocelyn Serrano, dean of BU-College of Science, Dr. Lilibeth A. Cajuday, project leader of the study submitted, Prof. Michael Montealegre, BCHRD director, Dr. Rafaelita Lucena, DOST V representative, BUCS faculty and staff as well as DOST V and BCHRD staff. 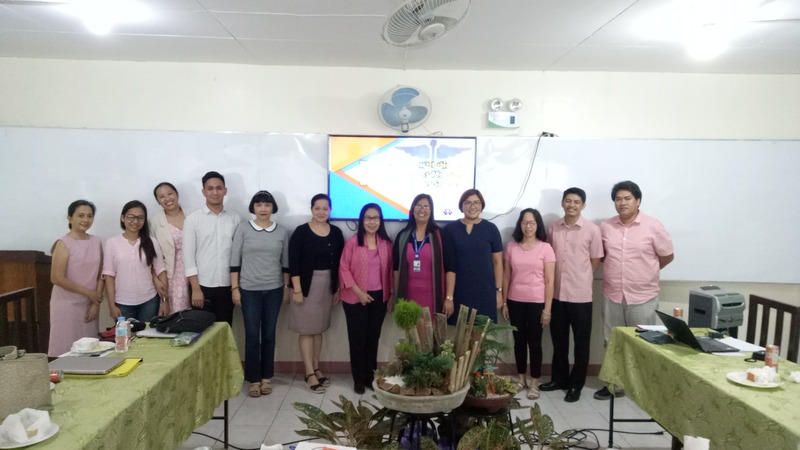 During the said meeting, the objectives and the process of drug research under the Tuklas Lunas Program were discussed by Ms. Melissa Bulao followed by the presentation of the project proposed by Dr. Lilibeth Cajuday and the presentation of the Manpower and Facilities of the Bicol University relevant to the program. Comments of the Tuklas Lunas advisory team were given after. The visit was ended with a tour of the natural science laboratory of the Bicol University.